I just wanted to make a quick post to notify everyone that the last test session for 2018 will be cancelled. There’s a scheduling conflict for Nov. 10th. The one individual who is pre-registered will be notified, and anyone interested in testing is encouraged to visit the Indianapolis Radio Club test session at noon the same day. Next years test schedule will resume in Feb. Stay alert for 2019 dates. 73 to all. The WD9BSA VE Team finished up the year with a successful testing session last Saturday. We had three test takers, two of which are Scouts. 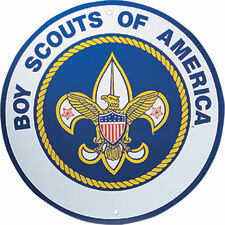 Although we serve the community as a whole, it’s always nice to test Scouts since that’s the real reason we organized the team and chartered the WD9BSA radio station. Nathan took his Technician exam and passed. Terry took his General exam and passed. Chuck took his Extra exam and passed. We were also able to perform an administrative address change for a local ham. All in all we had a pretty good year, which would not have been possible without so many loyal VEs for the WD9BSA group. Thank you very much! Please take note the new 2016 test dates. For everyone’s convenience they’ve been added to the Licensing Page, Calendar Page, and the Online Pre-Registration form. Thanks to the great work crew Saturday, we finally got the Carolina Windom back up in the air. We may not be as high as we’d like, but that can be changed in the future if necessary. We did a couple of transmissions with it and the SWR was very low and we were putting out a good signal. We didn’t try to make any real contacts though. I’ll have the analyzer with me next time to really check it out. With thanks to the WD9BSA work crew and those who came up to help with us. KB9BVN, Brian, Scout Noah (great climber), Scout Alex (also great climber, and NEW HAM, he passed his exams yesterday), KC9BRZ, Dave, (wicked wire weaver in the trees), K9RBH, Rick, (Jack of all trades), and N9CXI, Tom (JOAT, sling maker) and KC9TYJ Nathan (yet another JOAT)! Also the Camp Belzer Rangers and Staff, Kevin, and Dynamite Doug, and the loan of the ladder and general support for out efforts getting this big antenna back on the air!. Great Job guys, if I missed anyone, please let me know, I want to make sure we don’t leave anyone out! Also check out our calendar of events for the rest of the year. See the link below. It’s PDF format and can easily be downloaded or printed out.